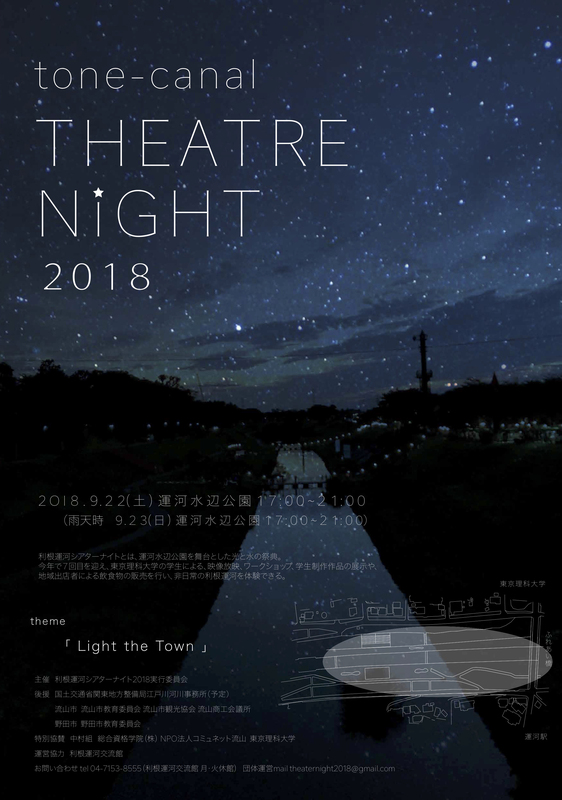 The Tone Canal Theatre Night will be held at the Unga Waterside Park, a community space for the students of Tokyo University of Science University Noda Campus, citizens of Nagareyama City and Noda City as well as many others. We aim with this event to create an opportunity to discover the beauty of the Tone Canal. Tone Canal Theatre Night, organised by volunteer students of the Tokyo University of Science Department of Science and Engineering, is an annual event that will be held for the seventh time. This year’s theme is “Light The Town”. All are welcome.